Indeed, this entire week is supercharged with transformational energies. Some of these energies may seem to push you from behind, so that you step boldly into new territories. Still, other energies may bring new people into your circle, expanding your connections and bringing opportunities. A relationship with a significant other or colleague could deepen, too, in part because of how the planetary and astrological energies catalyze a rethinking of interpersonal dynamics. Significant breakthroughs probably can happen this week due to a combination of the recent new moon solar eclipse and the beginning of the Chinese Earth Dog Year. At each step during this new year process, your energy vibrates higher and opens more doors of opportunity for you to walk through. Celebrate this now, trusting that you are fully supported on your path of light. Dec. 26 marks one of the best shopping days all year -the day after Christmas sale. It’s already time to kick-start after Christmas sales and some stores are already offering discounts in store and online. Here are a few suggestions where you can find the best deals. Macy’s is offering an extra 20 percent off sale items or $10 off purchases of $25 or more. Enter the promo code “JOY” to redeem online. Williams Sonoma’s after Christmas sale has a huge range of items that are discounted, including 20 percent off online orders with the code “JOLLY.” 20 percent off select bedding and bath products, 20 percent off home clearance items, and Google Homes on sale for $79. December 26th is all about seasonal bargains, the day after Christmas deals. While Christmas music playlists often include favorites like “Rockin’ Around the Christmas Tree” and “I Saw Mommy Kissing Santa Claus,” there are also a handful of tracks that go a deeper. Listen to “I’ll Be Home for Christmas” or “White Christmas,” and you’ll hear a deep yearning to be home for the holidays especially when having to spend the holidays somewhere else. December is filled with Christmas rituals – the TV specials, Live Rockefeller Christmas Lightning, the gifts, the lights, the music, fireplace, hot chocolate, snow, and what remains is home. It is the beating heart of the holiday, and its importance reflects our primal need to have a meaningful relationship with a setting, a place that transcends the boundary between the self and the physical world. Etsy has a very very very strict policy. To the point where it’s almost counter-productive for them. Etsy shops have been deactivated for trivial things like posting external links in the forums or even mentioning other marketplaces like Shopify, and WooCommerce. As you all know, we are selling Intuitive Readings along with a digital music mantra mp3 at our Etsy shop. Etsy is a unique venue that connects buyers to individual makers and designers, and they have policies that have changed about what can be sold and the types of businesses that can sell in their marketplace. In the Etsy marketplace, they require that we accurately represent handcrafted items in our business. After a close review, Etsy found our shop to have the following issue that our products were not 100% handmade and handcrafted even though our mantra music mp3 is actually 100% handmade and handcrafted but Etsy administration doesn’t see it that way. We will continue our newsletters, and social media @intuitivemagazine on Facebook, Twitter, Pinterest and @intuitivemag on Twitter. You still know where to find us intuitivemagazine.com. Have a wonderful rest of December celebrating the holidays and Happy New Year!! 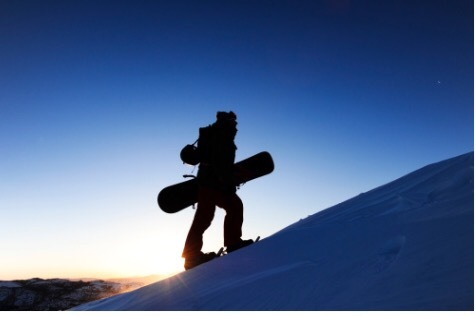 Snowboarding season is one of our favorites. All three sports, snowboarding, skateboarding and surfing. 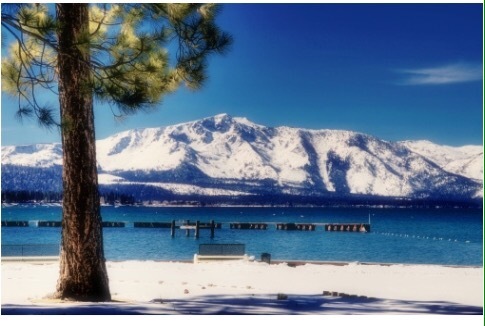 Lake Tahoe has become a second home during January’s winter and summer house time by the lake in Emerald Bay, four seasons in California is magical. 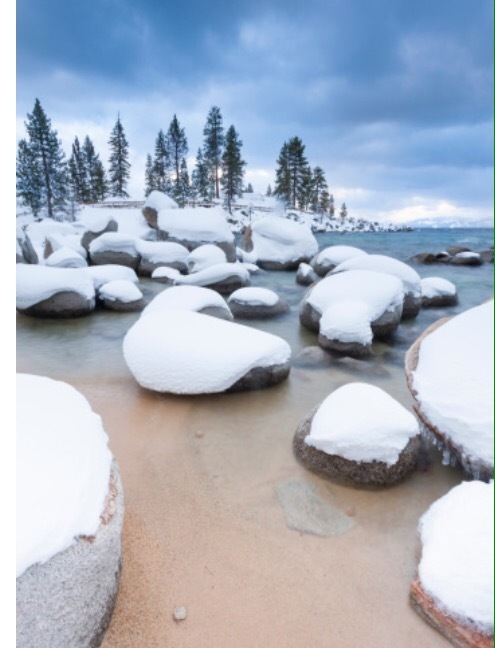 California snow self-expression’s shines at snowfall, majestic energy, grateful to you and enlightenment vibes because Lake Tahoe is a vortex for healing. The lake shines as aquamarine, bright healing color, very grounding for sensitive people. Mystical language from Lake Tahoe, beautiful Native American Spirit. The best Pranayam: Exhale the Past without any regret, Inhale the Future without much expectation, hold the present with pleasure. And then Enjoy 2017! Happy New Year! !